That Google wants you to go mobile should no longer be making the news. Since the 21st of April this year when Google announced that change to their search algorithm that many developers tagged the Mobilegeddon update, many changes have occurred all over the internet with many website owners and operators quickly modifying their sites to meet up with the new standards. For those who have till now failed to make that change, the time is now. Google wants you to go mobile and the smart thing to do is to toe that line. While content development remains a major tool for pulling users to your site, going mobile is the most important factor right now. A few years ago, everyone knew that if you did not have a website for your brand label, company or business, then you were losing customers. These days, that is mobile. If you do not have a mobile-friendly site, then you are definitely losing customers whether you know about it or not. In fact, the smarter thing is to focus on a mobile optimized site rather than even a mobile friendly one. The future belongs to mobile technology and you would fare better having a site that is best for mobile rather than desktops than one that is not mobile friendly at all. 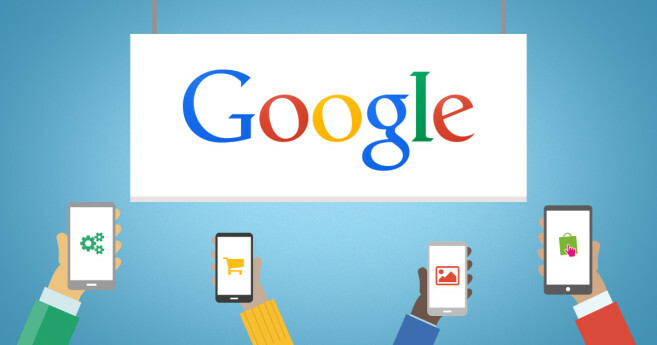 Why does Google want you to go mobile? The reason for the mobile focus of Google is very simple. First of all, mobile technology is the future. 80% of the world’s population own mobile devices and this figure is irrespective of the demographics, and if that is not enough, 60% of the users on the internet are surfing the web via a mobile device. With this large proportion, it is easy to see that mobile technology has dominated the internet. It is only logical for Google as a major search engine and browsing tool to optimize for its biggest user bracket. Secondly, the frustration many users experience when browsing via a mobile device and having to pinch and zoom when viewing a scaled down desktop site on the small screen of their mobile devices is something that Google is anxious to reduce. Also, when mobile users have to navigate through several pages simply to find what they want on a desktop site, this messes up with the Google page rank algorithm. Some businesses in order to offset the threat of the Google Mobilegeddon update have decided to create another site simply optimized for mobile alongside their desktop site. While this ensures customers tracking and retention and prevents the loss of many customers, it however creates a disparity in the customer experience. Customers viewing the mobile site are sure to get a different feel of your site than those who are experiencing it via desktop. Disparity in the customer experience is bad for your business. Many website owners who are guilty of owning desktop optimized sites are well aware of the significance of the Google mobile algorithm update, but they are unaware that their sites are not optimized for mobile. The following are some parameters to crosscheck so you can determine if you site is properly mobile friendly or not. If mobile users are seeing unplayable content on your website then you most likely do not have a mobile optimized site. Video and audio content should be playable on both desktop and mobile. If mobile users are required to download a flash player when they open your site in order to view certain content, then they would not be getting the optimum experience of all your site has to offer. The best bet is to embed your video files onto your site or use embedded players which are compatible both on mobile and desktop devices. Optimizing your site for mobile devices should be done professionally. This is because it is possible t get it wrong. Some pages within your site may already be optimized for the desktop experience. These pages should however be available for the mobile user when they click to open it. A truly responsive site would redirect a user to the desktop version in the likelihood that this occurs. If your site is not properly optimized for mobile, it would not redirect and instead would throw up a 404 error message which can be very frustrating for your user. If you find it difficult to link the pages to the relevant desktop site, either ensure you create a mobile equivalent or completely exclude the page if it is not a key page. Better not to have it than to have annoying error messages. No one likes a site with slow loading pages, and mobile users hate it most of all. If your site is loading pages slowly, then it has not been properly optimized. You should troubleshoot your website and find the reasons why it is not loading pages quickly and modify it if you want to retain a massive mobile user base. On the internet today, if you are not ready to adapt or evolve to keep up with mobile trends, then you should be ready to not only lose business but to gradually become forgotten by the world. The Google algorithm is targeted to search engine result ranking, and you can only maintain relevance if pages from your site rank high on the search engine results. Even if your SEO marketing tools are up to peak and you are not optimized for mobile, you would not gain much in the end. About 70% of all mobile searches end in a purchase within an hour so if you are interested in increasing your conversion rate, converting to mobile is the best bet you can make. It was surprising when Google which constantly updates its algorithm without warning announced this particular one. It was obvious then that this was an update that would change the way websites do business, and it has. Planning your SEO strategy would not be complete without including a responsive design for your website.